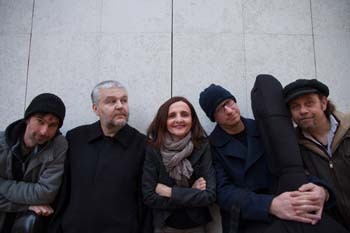 The success of this merger is certainly due to Tamara's incredibly fine-tuned sense of the istrian melody and dialect, combined with jazz craft, but also due the artistic expression of this group of top-ranking musicians which does not rely on existing jazz cliches, but on their acute sense of intuition for eaach particular composition. 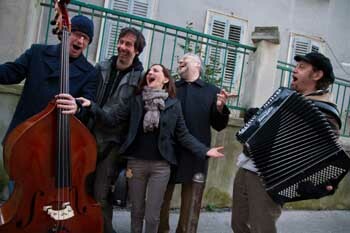 Base of their music is Istrian national heritage, arranged through moments of jazz, classical music and even tango, but also through long fragments of completely unusual sound that can hardly fit in standard genre classification. Dynamic and melodious. Loud as much as gentle, warm and sophisticated. Not pathetic whatsoever. Occasionally ferocious but not aggressive. 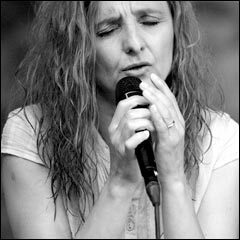 Workmanship of the band members, their attractive solo jaunts and, among all, vast vocal capacity of Tamara Obrovac, her charm and untrammeled, honest, facetious and seductive performance, will be memorized for a long time. "Slavic and Roman Sea touch in an unrepeatable way"
Drako Celing, Glas Slavonije, 20. 01. 2006.